A set of fireplace tools will provide you with the accessories needed to keep your fire burning beautifully and safely. 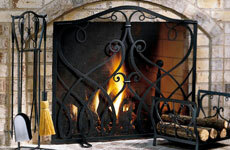 More than an attractive accessory, a fireplace screen protects against sparks or flares. Especially recommended for homeowners with small children or pets. Nothing detracts from a beautiful fireplace and hearth like a pile of wood, and the debris that comes with. 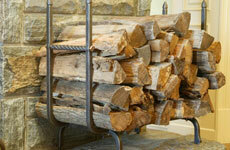 Place an attractive holder right next to your fireplace to keep firewood handy and tidy. 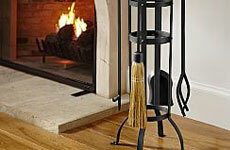 Regular cleaning and maintenance is important for fire safety and longevity of your fireplace. 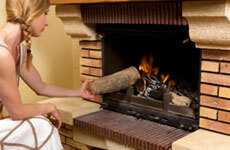 East Texas Brick carries top-of-the-line products for fireplace cleaning.